A Necropolis is a city of the dead and with Samhain, or Halloween, nearly upon us, I thought I'd post a series of photos I've taken of places that deserve that description. 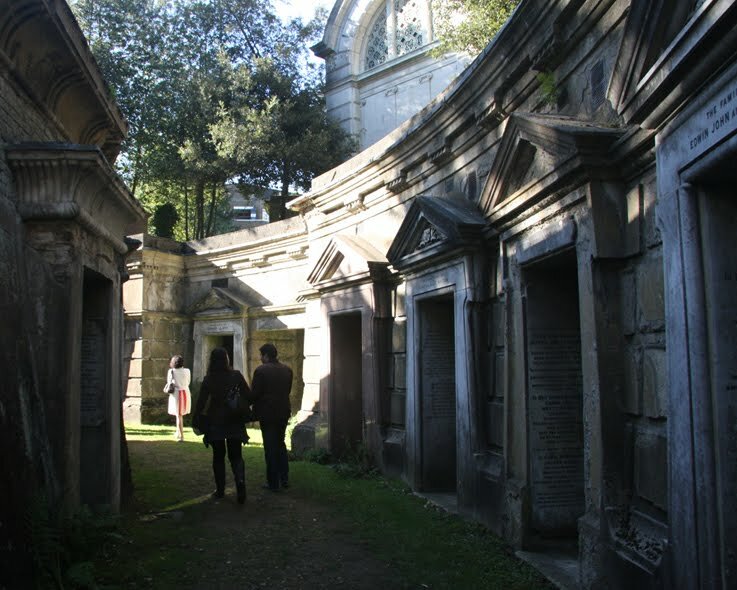 Highgate Cemetery, in London, is first on that list. The picture above shows Highgate's Egyptian Avenue, which leads onto the Circle of Lebanon (right). Walking through these silent streets of tombs, it really does feel like some ancient and crumbling city where only the dead reside. Highgate Cemetery was built in 1839 at a time when London's churchyards and older burial grounds were full to bursting. In fact, they often did burst - disgorging rotting corpses to the horror of the public and posing an appalling threat to health. 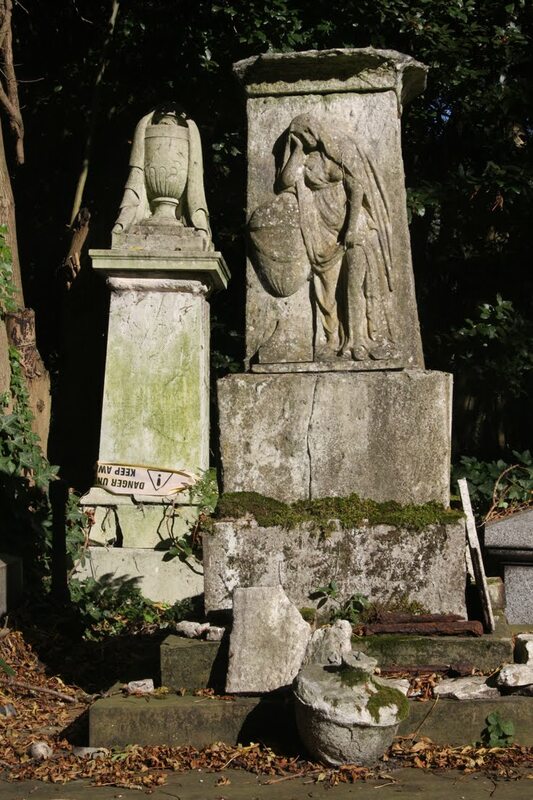 Highgate was one of seven new private cemeteries to be built around London to tackle this problem, along with Kensal Green, West Norwood, Abney Park, Brompton, Nunhead and Tower Hamlets. 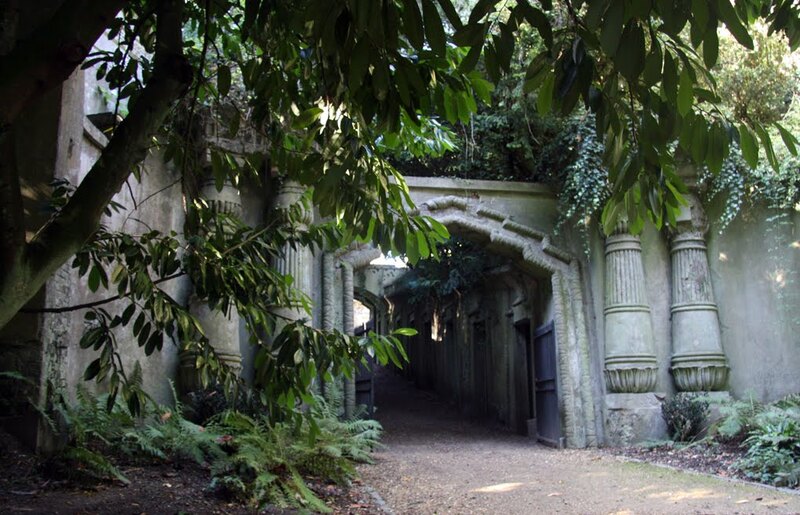 Highgate Cemetery soon became the most fashionable place to be buried - and the Victorians did love elaborate death rites. The more impressive the mausoleum one could erect for a departed loved one the better. Egyptian Avenue was built as the centrepiece of Highgate Cemetery, expressing a vogue for things exotic. It consists of 16 vaults on either side of a passageway, entered through a great arch. Each vault has its own front door, and inside has space for 12 coffins so that a family could use it to house their dead for generations. The avenue leads to the Circle of Lebanon, which was built in the same style around the circumference of a vast Cedar of Lebanon tree. Gothic-style catacombs were later added in terraces. 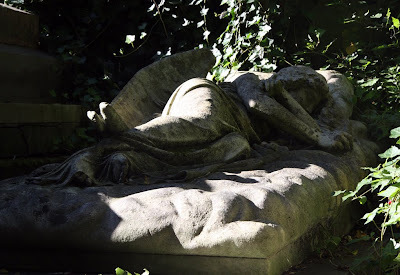 Although this was the fashionable place to be seen if you were a dead Victorian, conservative church-going members of the community were shocked by all the pagan symbolism that was rife in the cemetery. This was obvious in Egyptian Avenue with its columns and lotus flowers, but other pre-Christian motifs were common too. Urns represent the classical Roman way of holding ashes after a cremation, obelisks are an Egyptian symbol of eternal life and evergreen wreaths are also a symbol of eternity. 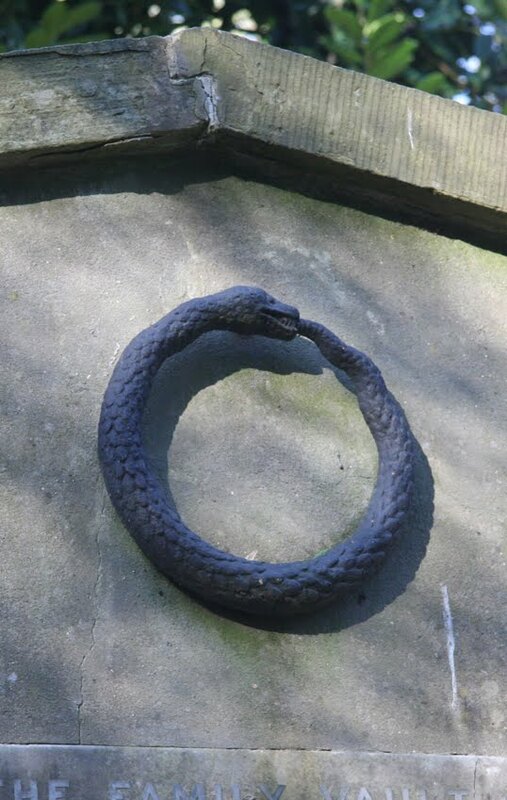 A couple of tombs at Highgate display a snake eating its own tail, known as Ouroboros, which is a Greek symbol representing cycles of renewal and eternity, as well as being associated with Gnosticism and hermetic magic. There are, of course, plenty of Christian symbols at Highgate too - including many beautiful statues of angels. Indeed, it has something of a claim to fame regarding angel statues, as the only cemetery that has an angel sleeping on the job. You can see her looking lovely in repose in the photo at the bottom. I went there when I visited England as a young teenager, and it's something I've never forgotten. It's an absolutely beautiful place! I'm so glad it's in good hands now, and being restored....I've heard all the horror stories about the vandalism and desecrations that went on in the '60s and '70s. The sleeping angel is beautiful.